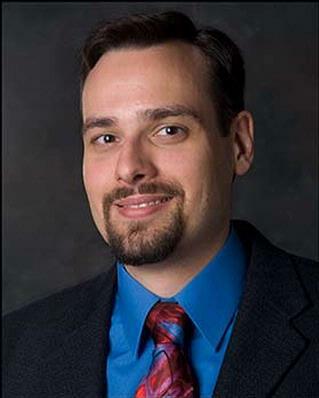 Dr. Thomas Caprio specializes in geriatric medicine, hospice, and palliative care. He is the director of the geriatric training programs at the University of Rochester (UR) and he serves as the Director of the UR Medicine Geriatric Assessment Clinic located at Monroe Community Hospital providing geriatric consultation for frail older adults in the community. Dr. Caprio serves as the Chief Medical Officer for the UR Medicine Home Care, Medical Director for the Visiting Nurse Service and the Medical Director of the Visiting Nurse Hospice of Rochester. He provides geriatric consultation and palliative care clinical services for patients in home care, nursing homes, outpatient, and inpatient settings. Dr. Thomas Caprio is an Associate Professor of Medicine/Geriatrics, Dentistry, Clinical Nursing, and Public Health Sciences at the University of Rochester Medical Center and serves as medical director of the University of Rochester Geriatric Assessment Clinic, Chief Medical Officer for UR Medicine Home Care, Medical Director of the Visiting Nurse Service and Medical Director of Visiting Nurse Hospice and Palliative Care. He is director of the University of Rochester geriatric medicine fellowship program and director of an interdisciplinary geriatric training program for physicians, dentists, and behavioral/mental health professionals. He is Director of the Finger Lakes Geriatric Education Center and is a past recipient of a Geriatric Academic Career Award from the federal Health Resources and Services Administration. Dr. Caprio is active in research and teaching at the University of Rochester and he was appointed a Lawrence A. Kohn Senior Teaching Fellow in the Department of Medicine in 2008 and a Dean's Teaching Fellow at the School of Medicine and Dentistry in 2013. In 2015 he was appointed a scholar in the Tideswell Leadership Development Program sponsored by the American Geriatrics Society (AGS) and the Association of Directors of Geriatric Academic Programs (ADGAP). Dr. Caprio is a recipient of the Rochester Business Journal's Health Care Achievement Award in 2015. He is past-president of the State Society on Aging of New York and past-President for the National Association of Geriatric Education Centers and the National Association for Geriatric Education. In July 2015, he received funding from the Health Resources and Services Administration, Bureau of Health Workforce, for the establishment of the Finger Lakes Geriatric Workforce Enhancement Program which provides education and training related to geriatrics and palliative care, as well as Alzheimer's Disease and related dementias across Upstate New York. This program targets multiple health care disciplines, primary care providers, academic faculty, rural health care providers, and family caregivers. Dr. Caprio completed his undergraduate studies in biochemistry at Nazareth College of Rochester and then graduated from SUNY at Buffalo School of Medicine and Biomedical Sciences. He went on to complete his internship and residency training in internal medicine at Strong Memorial Hospital and a subsequent fellowship in geriatric medicine, a postdoctoral research fellowship in geriatrics and gerontology, Master in Public Health degree, and Master's in Health Professions Education at the University of Rochester. Dr. Caprio is a board-certified physician in internal medicine, geriatric medicine, hospice and palliative medicine, and is a fellow of the American College of Physicians and a fellow of the American Geriatrics Society. He is a certified medical director in long-term care and a certified hospice medical director. Dr. Caprio is an academic geriatrician, nursing home physician, and hospice/home care medical director with research training and background focused on interprofessional team training, rural health, survey instrument construction, program development and evaluation, health services research and assessment of quality of care. Zheng NT, Mukamel DB, Friedman B, Caprio TV, Temkin-Greener H. "The effect of hospice on hospitalizations of nursing home residents." Journal of the American Medical Directors Association.. 2015 Feb 0; 16(2):155-9. Epub 2014 Oct 07. Temkin-Greener H, Ladwig S, Caprio T, Norton S, Quill T, Olsan T, Cai X, Mukamel DB. "Developing palliative care practice guidelines and standards for nursing home-based palliative care teams: a Delphi study." Journal of the American Medical Directors Association.. 2015 Jan 0; 16(1):86.e1-7. Epub 2014 Dec 04. Hung WW, Rossi M, Thielke S, Caprio T, Barczi S, Kramer BJ, Kochersberger G, Boockvar KS, Brody A, Howe JL. "A multisite geriatric education program for rural providers in the Veteran Health Care System (GRECC-Connect)." Gerontology & geriatrics education.. 2014 35(1):23-40. Chapter Title: Falls and Gait Disorders.